I’m 80% done with my first WordPress child theme. I’ve been working on and off this child theme for quite some time now on my wptest site. Since I’m into child theme nowadays, I’m thinking of selling some of them in the future. 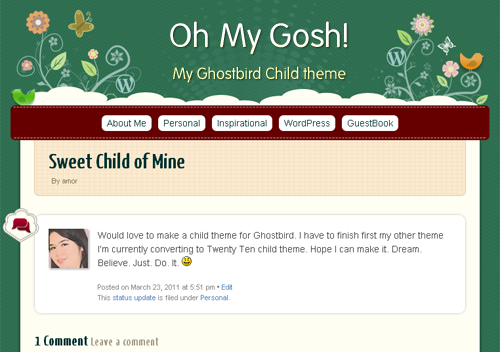 Meanwhile, this Sweet WordPress Child of Mine is created for Ghostbird. 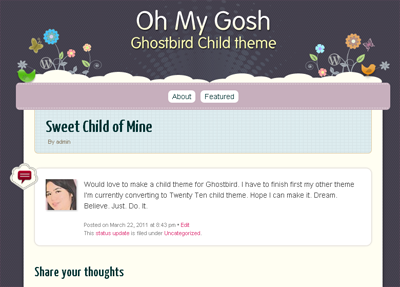 Ghostbird is a free one-column theme for WordPress by Michael Fields. And because of my lack of creativity in naming things, I just named this theme Oh My Gosh! In order for you to use a Child theme, you have to install the Parent theme too. Just recently I decided to use this theme on my WP theme playground. Obviously it has different colors and slightly different navigation bar. That’s what I like about child themes. So easy to change everything without changing the parent theme files. I’m trying to support all post formats in this theme. 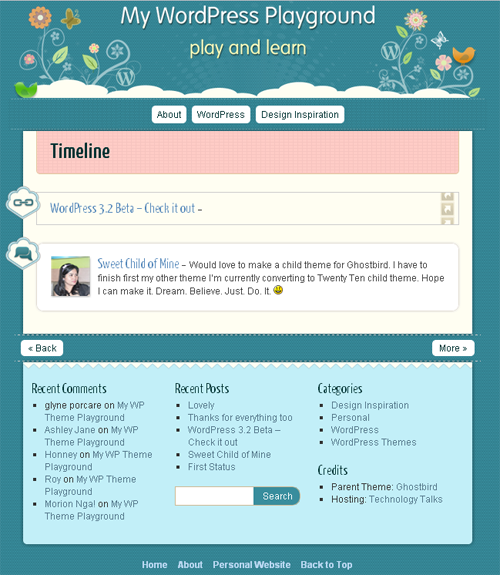 Earlier this year, I started converting one of my old themes to Twenty Ten child theme. I think I’ll be doing more Child themes in the future. 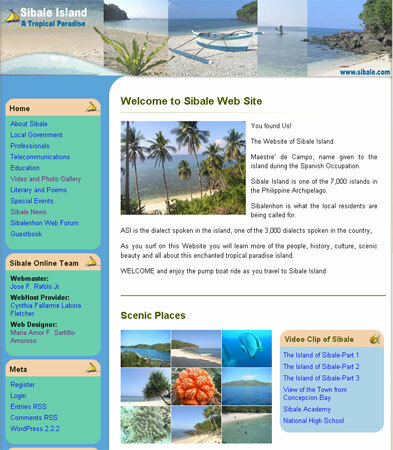 Hey, your theme came out very nice. 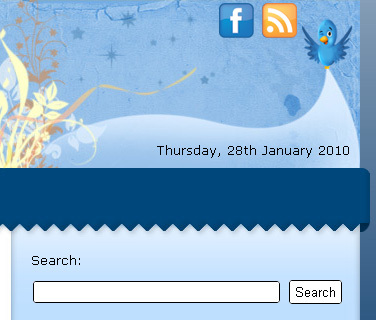 The post format icons look really nice and the header is very pretty – cheers! Thanks for your nice words AJ. That&apos;s an honor knowing it came from someone like you.